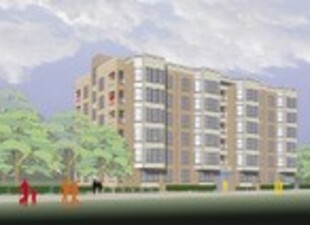 The new 48-unit building located at 40 Malvern St. will be ready for occupancy October 1 and is already 50% preleased. Rents for the 1-bedroom units will start at $2,100 and $2,500 for the 2-bedroom units. The top-floor units will have views of the Charles River. Amenities for residents will include a “green” roof garden, newly-constructed outdoor green space, off-street parking and close proximity to the MBTA, as well as access to the Commonwealth Sports Club, a full-service health club with personal training, fitness classes and an indoor pool. State representative Kevin Honan said the Hamilton development is part of a real estate boom in Allston-Brighton that will generate 3,000 new units of housing over the next 4-5 years. “New developments such as 40 Malvern St., which combines new housing with increased access to public transit, will keep our neighborhood vibrant for generations to come.” Honan said.